Gatlinburg, TN is ideal for couples ready for a romantic holiday. 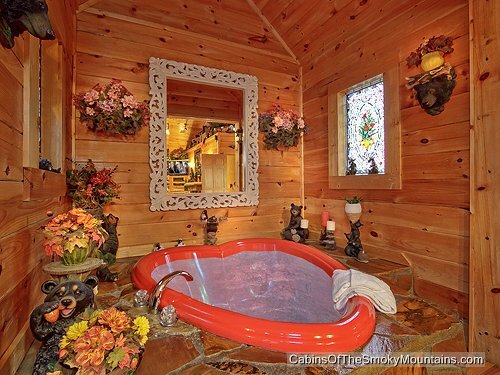 From fine dining to local amusements and attractions, to the very best cabins in Tennessee, Gatlinburg offers excitement. Here are just a few of the top excursions for couples in Gatlinburg. TIP: nothing’s more romantic for accommodation than your own cabin in the mountains. Check out our Smoky Mountain Weddings page as well as our Romance Packages for getaway cabins, and call 855-91-SMOKY anytime with questions and to book your stay with us. Guaranteed to raise your altitude and not for the faint of heart, there’s an amazing view of the city and nature along the way. Couples hop aboard and hold hands while taking a romantic trip to the top to discover a gorgeous backdrop for breath-taking couple photos with the surrounding Smoky Mountains. For a truly romantic touch, take the Sky Lift at dusk. Before you jaunt along any one of a dozen trails in the area, stop in at Parton’s Deli, where the staff will prepare a picnic for you to carry along and enjoy wherever you stop and unfurl the picnic blanket. For the best place to picnic, try Cades Cove within Smoky Mountain National Park. The cove is a lush, grassy valley surrounded by mountains and delightful rustic buildings including a church, barn and schoolhouse just perfect for every couple’s pictures. See our Cades Cove: Definitive Guide to the Top Destination in the National Park. Take in awe-inspiring views at the top of this 407-foot high observation tower offering panoramic, 360-degree, breath-taking views of beautiful Gatlinburg and the Smoky Mountains. Share the views and enjoy playing in the gaming arcade. There’s also a terrific pizza joint and ice cream shop at the top. It’s enough to make you fall in love all over again. Gatlinburg is a town brimming with attractions, surprises and scenic views. There’s plenty more nearby for couples to explore while enjoying a romantic getaway. The ambiance of Gatlinburg will warm your heart and refresh your spirit – come rekindle the romance on the exciting side of the Smoky Mountains!